#SingleBells, single all the way! (SPOT.ph) It’s not really that cold yet—as it should be during this time of the year (hello, global warming). But for the brokenhearted souls out there, it still feels like Elsa is having mood swings in Manila. We wouldn’t tell you to stop sulking, because feelings are perfectly normal. You’re not alone—Ampalaya Monologues will help you nurse the pain on December 13, 4 p.m., together with Theater in Alternative Platforms (TAP) and some of your favorite spoken word artists. Don’t miss the event at Pink Panda Southeast Asian Diner, with live art shows by Cavity Collective and musical performances by Chasing Deadlines and Suicidal Genius. Spoken word poets like Trevor Viloria, Zuee Herrera, and Abby Orbeta of Words Anonymous will perform their hugot monologues about real love stories mixed with hilarious punchlines. The show will feature new pieces like “Para sa Mga Pusong Pagod”, #SingleBells, “Hindi Ka Na Marunong Mag-Reply.” You can be part of their open mic session, too! Tickets are at P200 each (it comes with a free drink). 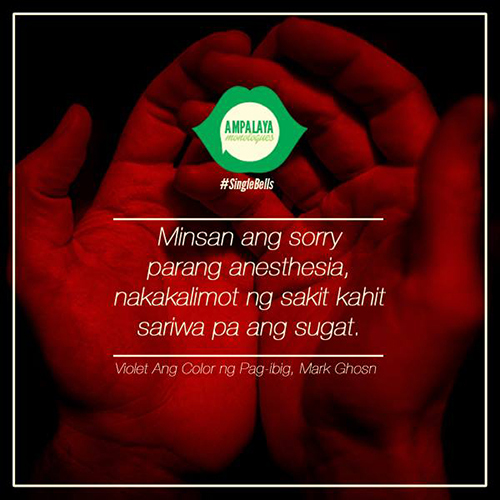 Ampalaya Monologues is written by Mark Ghosn and is produced by Black Table Productions. 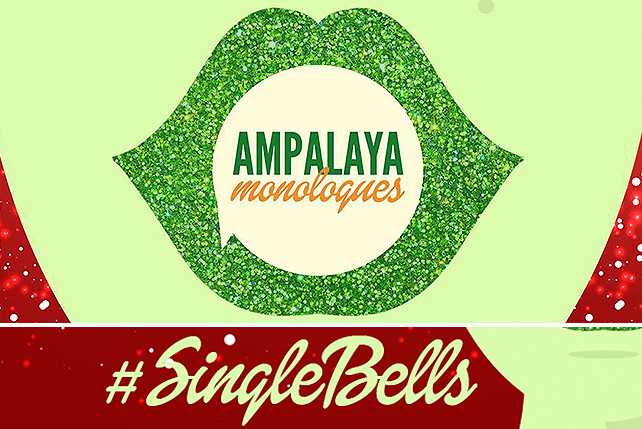 Ampalaya Monologues is happening on December 13, 4 p.m. at Pink Panda Southeast Asian Diner, G/F Y2 Residence Hotel, 4687 Santiago Street corner B. Valdez and Singian Streets, Barangay Poblacion, Makati City. 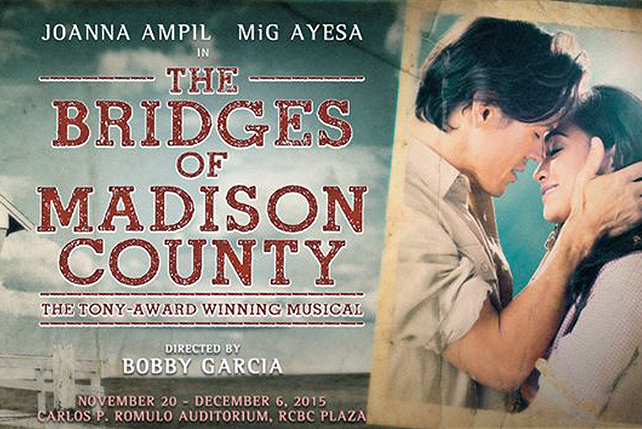 For more information, visit Ampalaya Monologues' Facebook page.